CashinaSnap.com, a leading online company who connects consumers with lenders, recently ran a two week Facebook Sweepstakes from January 27th to February 7th, 2014. All contestants had to do to enter was simply fill out a confidential entry form with their full name and email address, and hit send! And easy as that, they were entered into winning one of the three $50.00 Visa gift cards CashinaSnap was giving away. The response was overwhelming with over 436 participants. “I was pleasantly surprised with the great response we received from this Facebook sweepstakes,” said Kimmy Burgess, manager of CashinaSnap. “We will be running more contests and sweepstakes to give back to our loyal customers.” This sweepstakes was the second of many contests that CashinaSnap has lined up for 2014. The winners of this contest Tasha Nelson, David Whitney, and Melissa Bobb were announced on February 21, 2014. Each contestant winner has received their $50.00 Visa card and have hopefully put it to good use. 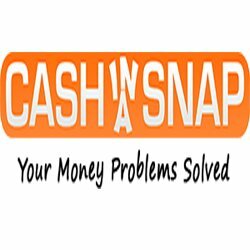 CashinaSnap is an online based loan company based in California that works with you in finding the lowest interest rates for personal loans in the U.S.
By using CashinaSnap.com you are given access to competitive, certified lenders and the best loans. All of your personal information is secure and with tons of information online you are able to educate yourself on the no fee, no obligation, and no hassle process. The application is simple and takes less than 4 minutes to complete and if approved, the money will be available in your checking account as early as the next business day. For more information on CashinaSnap, please visit their website at https://www.cashinasnap.com/.